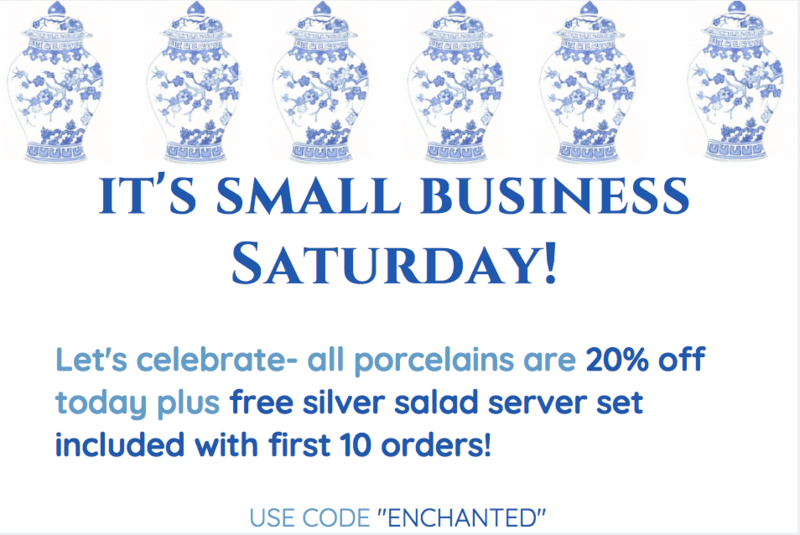 It’s Small Business Saturday and a giveaway! Hi everyone… hope everyone had a fabulous Thanksgiving. Ours was so special, super relaxing, filled with good food, laughter, wine, bike riding and movie watching here at idyllic Palmetto Bluff where things slowed down and pressure was taken down a few notches. I couldn’t have asked for more. Plus it gave me the much needed energy reserve to gear up for the very busy holiday hustle and bustle ahead. We have so many exciting things coming in and happening…..I am ready! Today is small business Saturday celebrating where small businesses both brick and mortar and e commerce celebrate! I am proud to be among this special group of retailers. 4. 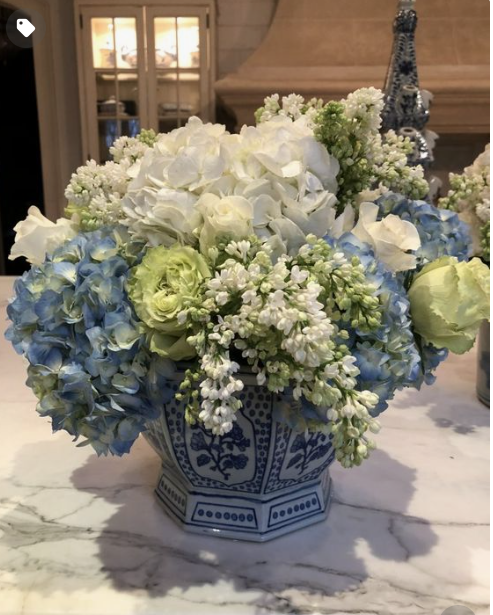 This gorgeous mid sized ginger jar are among my new favorites as their size makes them perfect for mantle decorating….click here to see the center jar. 5. Few places don’t look fabulous with a garden seat, both indoors and out! This trellis garden seat is one of my all time faves, click here to see. That’s it, you will be in the running and a winner will be announced on Tuesday morning. So be sure to stop back and see if you are the lucky winner. Thanks for stopping by, wishing everyone a wonderful day and weekend! Until next time……. 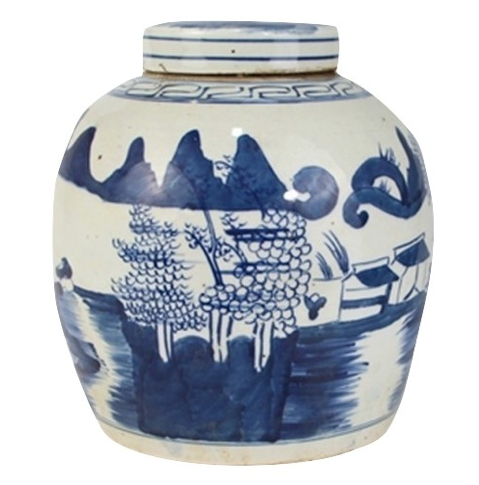 Love the first dark blue jar and in the shop the large flat top that is out of stock. When it comes back in stock I really want that one with the painted bird. The new salt and pepper shakers are my new favorite. They look so pretty at each of the place settings. 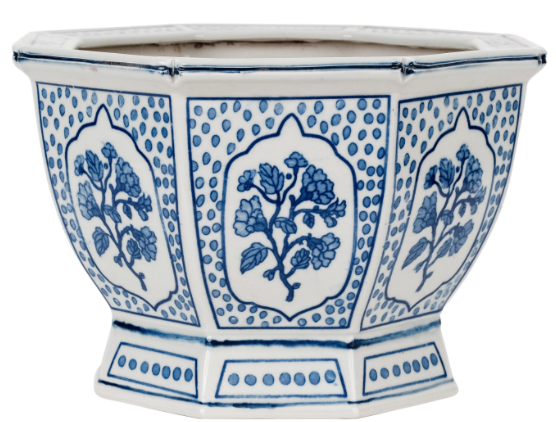 Favorite porcelain is the Imari Fishbowl planter. Love the splash of reds. So vibrant and diffferent! So hard to choose but I am especially fond of the hex planter. So unique! Love, love the antiqued village scene bowl!! I have my eye on the mid size trellis bowl. Of course, it’s all so beautiful. Love them all but the hex planters are so versatile! Hope to get one soon! 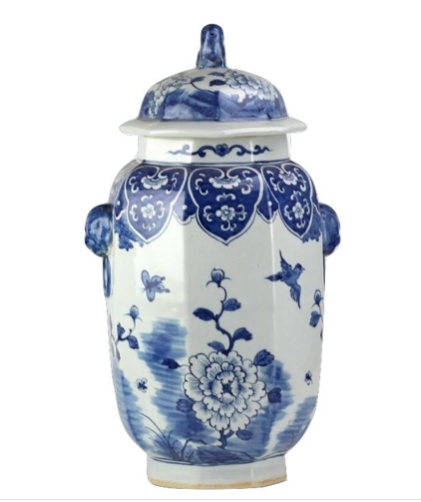 The new ginger jar is my favorite, design on design makes this a very elegant piece, a must. The new ginger jar is my favorite, A must! love the large peacock jars. how fab would these be on my christmas mantle! love all the new blue and white. I love the smaller foo dogs that can be jumbled together to create a mantle-scrape. 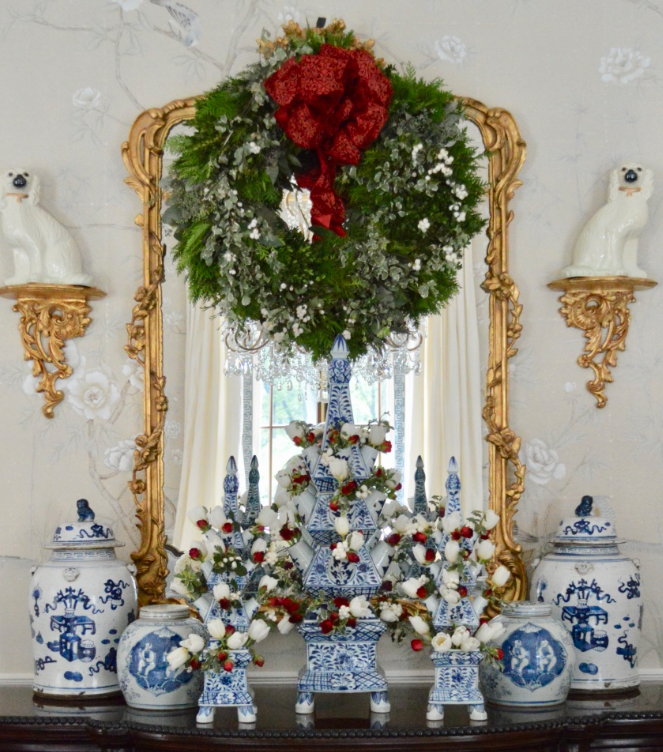 I can’t get enough of your blue and white porcelains. Next on my list is the tea jars, as they will add another style to my collection of TEH! I still really love the village scene garden seats! Love the new salt and pepper shakers as well. Oh, who am I kidding–I love all of your items! 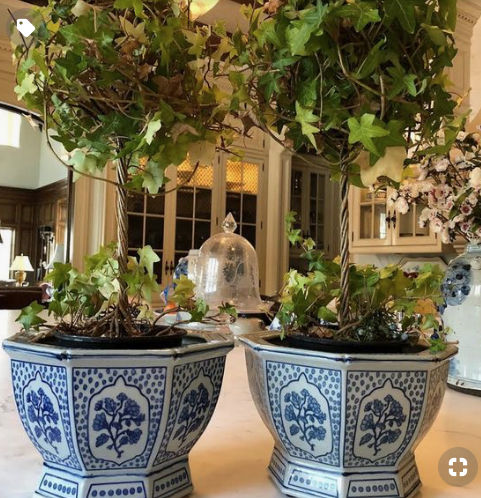 I particularly love the square Trellis Ginger Jar – I couldn’t help but notice how many of the items were “sold out” – good for you – you are buying well. New mid size planter is beautiful! 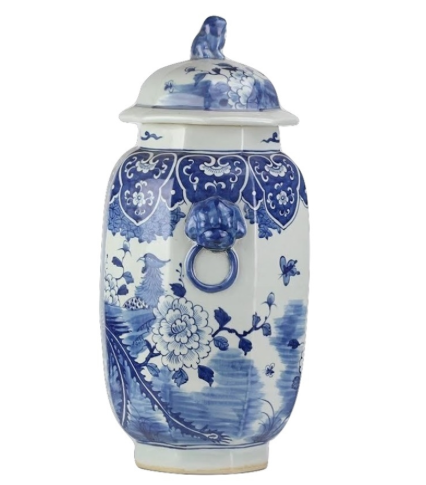 Absolutely love the navy figurine ginger jar! 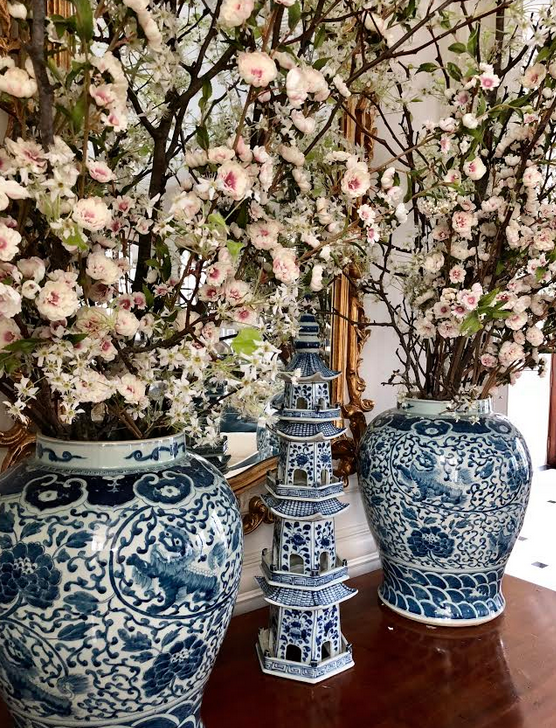 The vibrant blue colour and foo dog lid is perfection! 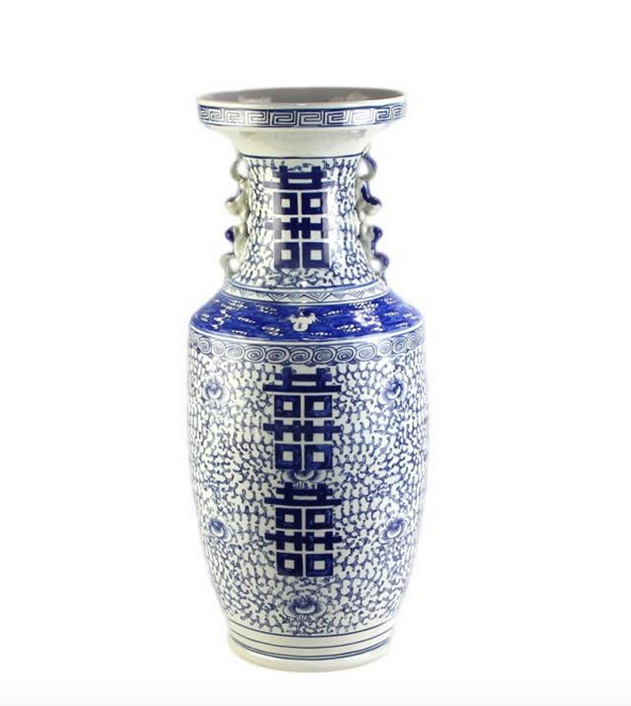 My favorite piece is the extra large double happiness vase. Beautiful piece and great price!!! Love the mid size pagodas and the hex planter! Love the pale blue and white tulipiere!! Happy giving of Thanks weekend! It is so hard to choose one or two favorites when my heart skips a beat for so many of these treasures. 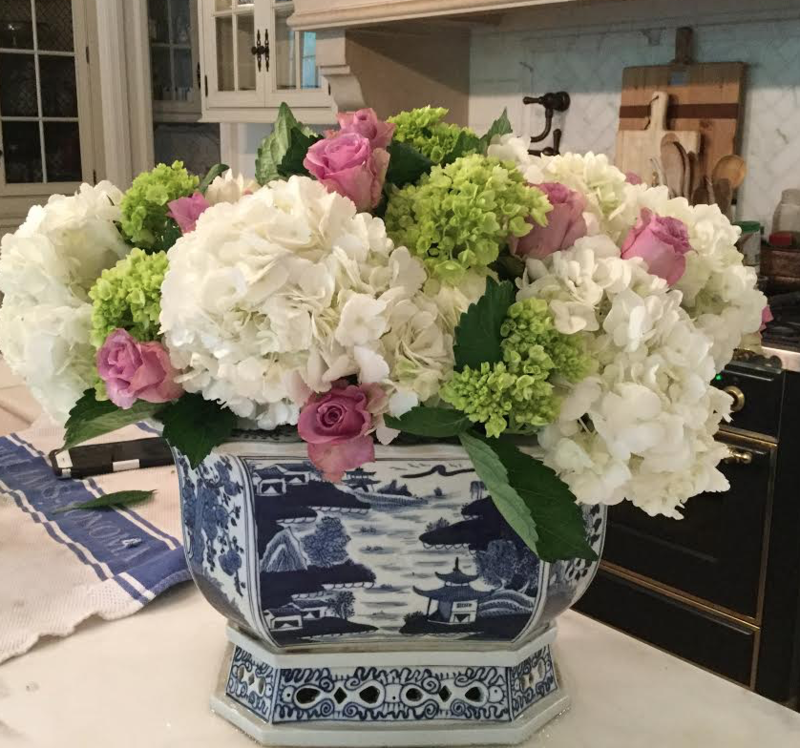 Blue & White garden seat is one of my favorites and will make a timeless accentpieceto any decor. The other is the cachet pot. This piece is so versatile in use andagain a timeless piece. Happiest of Days! 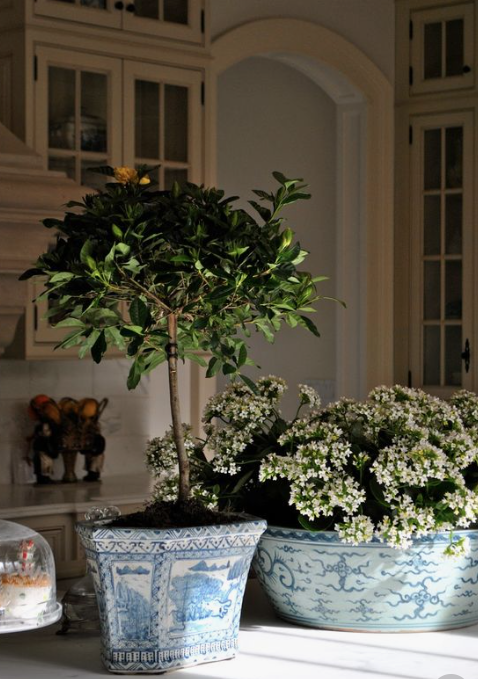 I think my favorites are the planters. So many things you can do with them. So many beautiful things I would love to find under my tree. 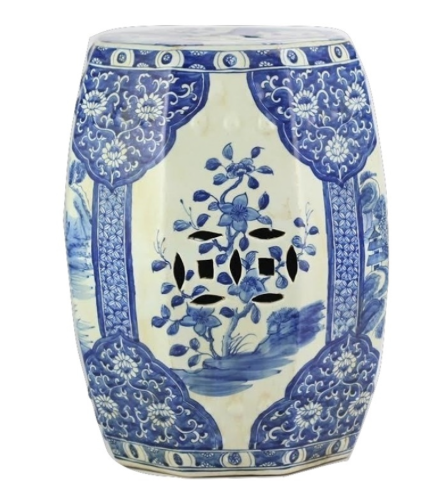 In love with the double happiness vase! and any of the cherry blossom pieces. Love the garden seat and the hegagonal planter…so perfect for orchids! Blue & white Garden Seats!!! 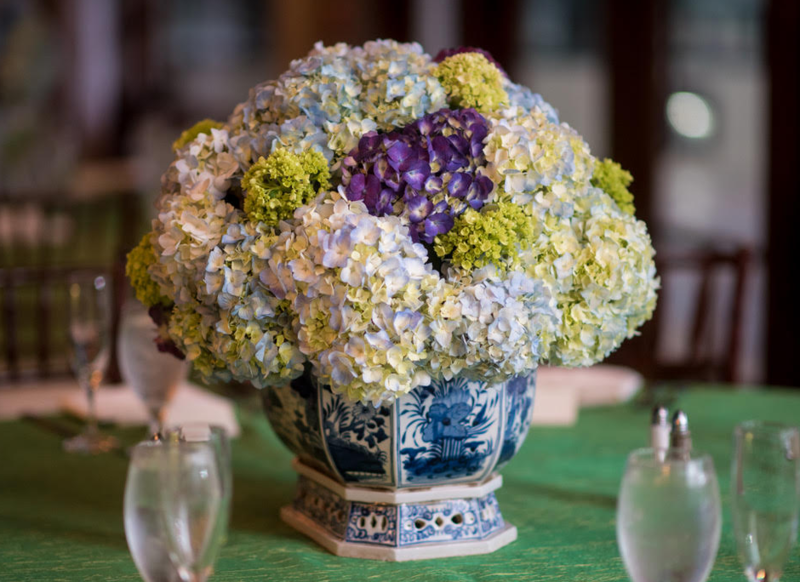 I love the extra large double happiness vase! Love it all! My fave are the hex planters- would look great anywhere! I can honestly say I have no favorite piece from today’s choices. They are beautiful!!! Love the garden seats! So pretty. The garden stools always are choice for me. I’m still dreaming of a garden stool! Maybe Santa will bring it! I love all the pictures of the way you use the beautiful porcelains. I especially like the small pierced bowl and the Grand Temple jar. The tulipiere’s are exquisite and absolutely my favorite! Beautiful, beautiful, beautiful! Your LARGE PEACOCK JAR shows as the LARGE TEMPLE JAR on my computer. I simply adore the new ginger jar. 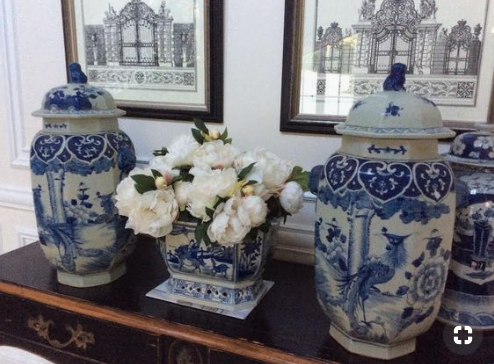 Well Tina….I’m beginning to look like a porcelain shop myself…you have converted me to porcelains and I love them! I ordered #11 this time and know I can always find a spot for your beautiful items…. 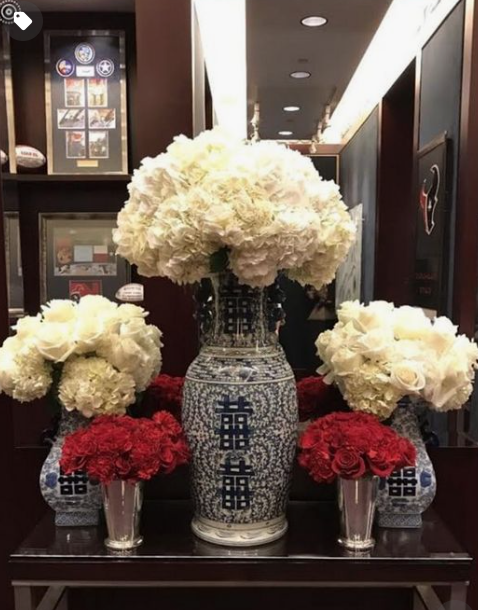 I just bought the EXTRA LARGE DOUBLE HAPPINESS VASE. I have been looking for a tall vase like this for some time. It is so pretty that I probably should have bought two. 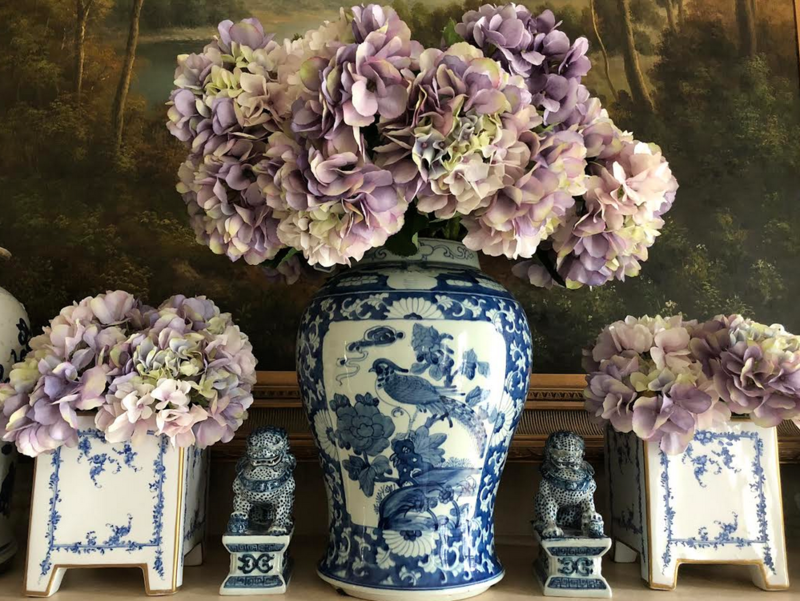 I recently bought the small foo dogs in the blue and white. I put them on a chest with a larger piece of porcelain. I am trying to make a grouping. Thanks for bringing these pieces to us. I wish I had found you earlier. All are so beautiful! I love the village scene bowl. My first stop whenever I browse your shop is the trellis garden seat. I makes me smile every time! Well the piece that is the give away just happens to be my favorite piece! 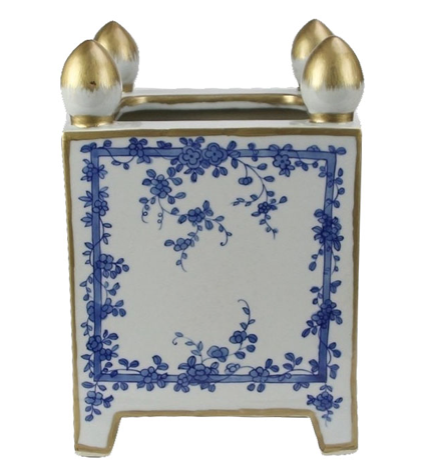 It’d fit in so well with my other blue and white porcelains:). Happy small business day! 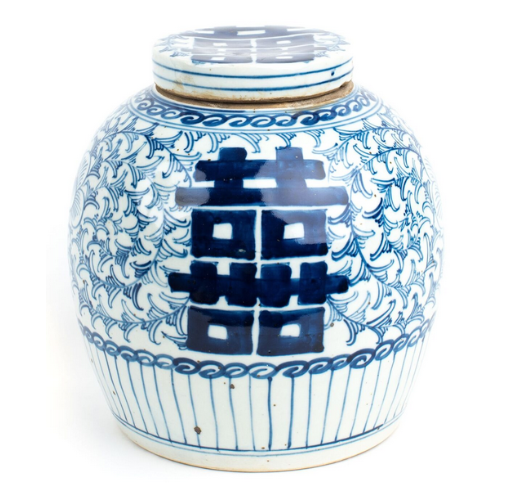 Always love the ginger jars, all of them! 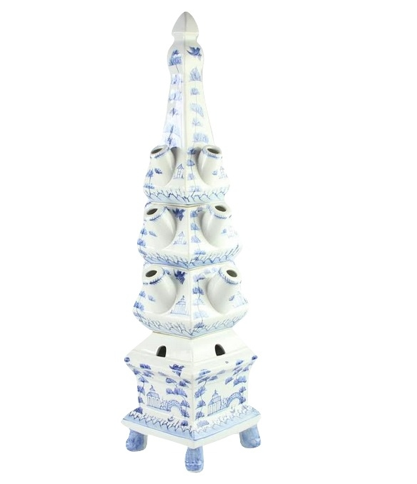 Loving the left and right facing bird candlesticks as they combine my love for birds and chinoiserie! I have been admiring the trellis planter and salt and pepper shakers. I think they would be a beautiful adddition to my kitchen table. I love the scalloped planters. I have two of them and they are my favorites! 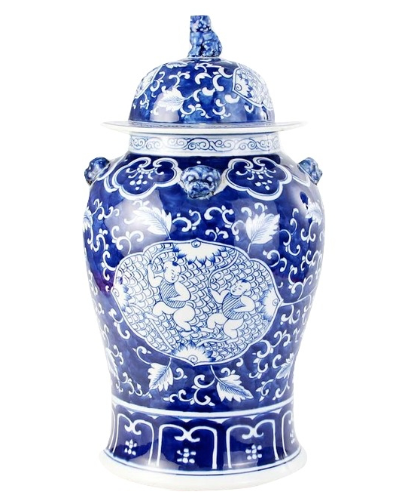 I am in love with the exquisite peacock jar. Just beautiful. 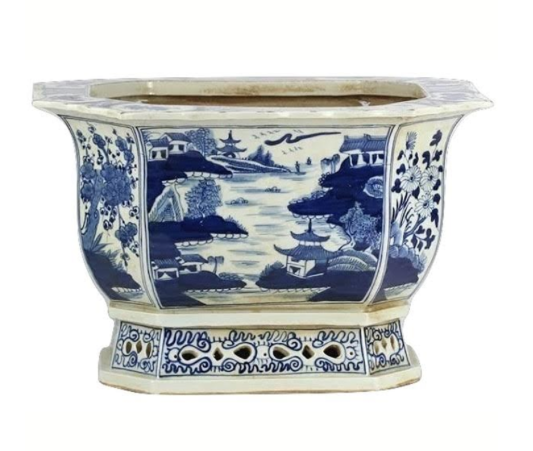 My favorites are the large village scene bowl and the grand pagoda. I have both and they are exquisite! The grand pagoda really makes a statement! I love the ornaments so much. My absolute favorite is the Elegant Garden Seat! 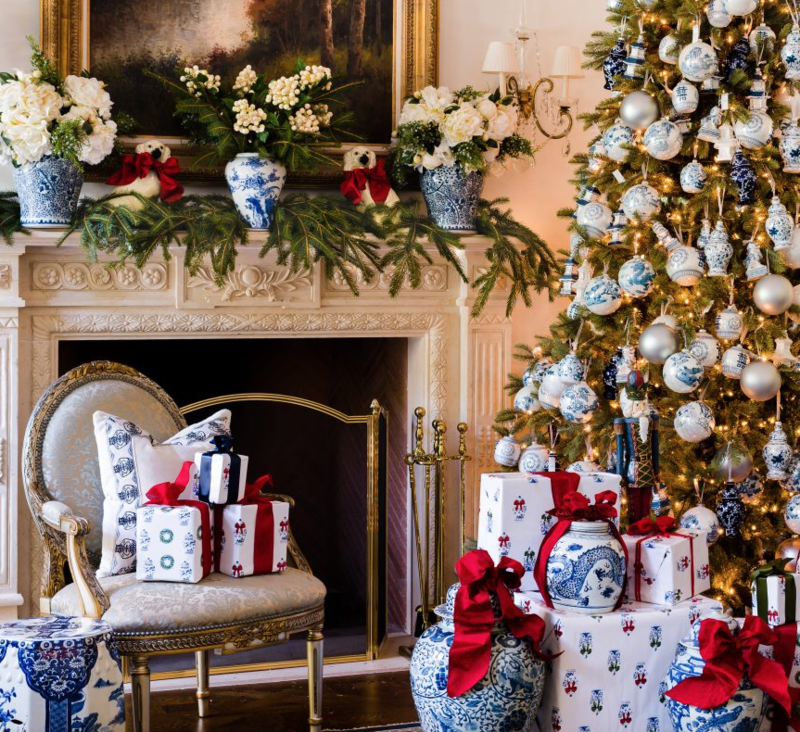 Until I found your site, I thought I was the only one with a blue and white obsession! Thanks for sharing your love!! I love all of the blue and white but the pumpkins and rabbits are precious! The Cherry Blossom Garden Seat is my favorite! It would look so stunning in a garden room, absolutely enchanting. 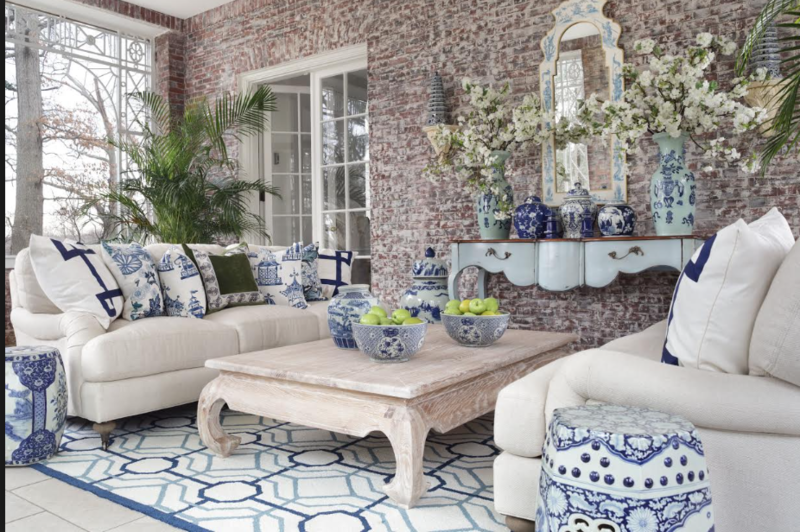 The trellis garden seat is one of my favorite porcelain pieces. I purchased it a few months ago and the pictures do it no justice…it is even more beautiful in person! Thanks for the great reading and that blue and white fix! Have had my eyes on the Floral Cache Pots with the GoldFinials for some time!!! Maybe someone will surprise me on Christmas morning! 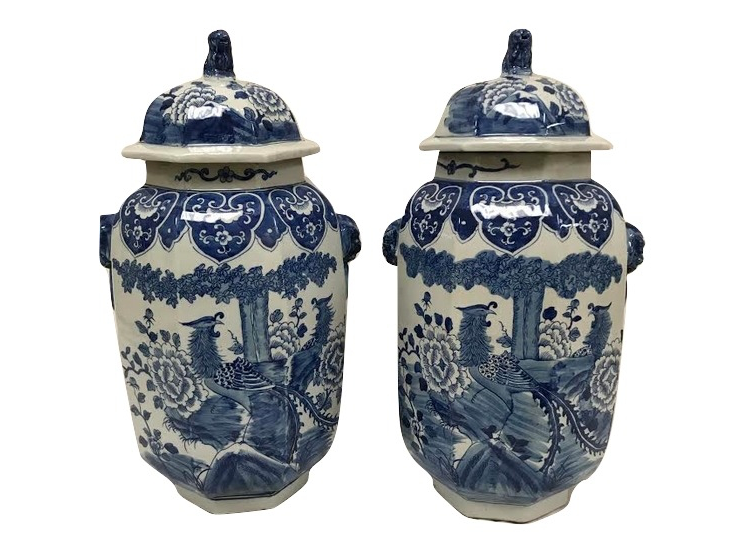 Have always loved the flat topped ginger jars but also think the peacock jars are wonderful. The little salt and peppers shakers would make great gifts. So many beautiful things! 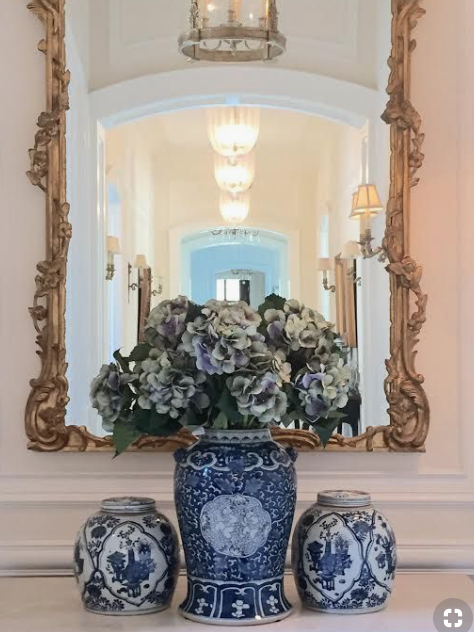 I love the large vase in the 9 piece collection. I have two of them on a mantle and I go in that room frequently just to admire them. My favorites are the Foo dogs. I really like the Foo dogs that have blue spots. Santa!!! 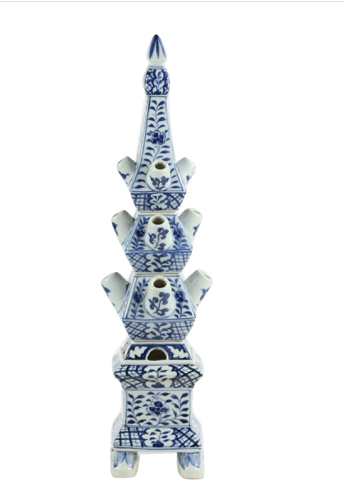 Luv pagodas – visual n added height. Will bring vignette together! Only been collecting for 4 months n I’m at my 75 yrs it’s my last hurrah! Our total Fl home do 0ver. U r so inspiring!! The small tulipieres are my favorites. 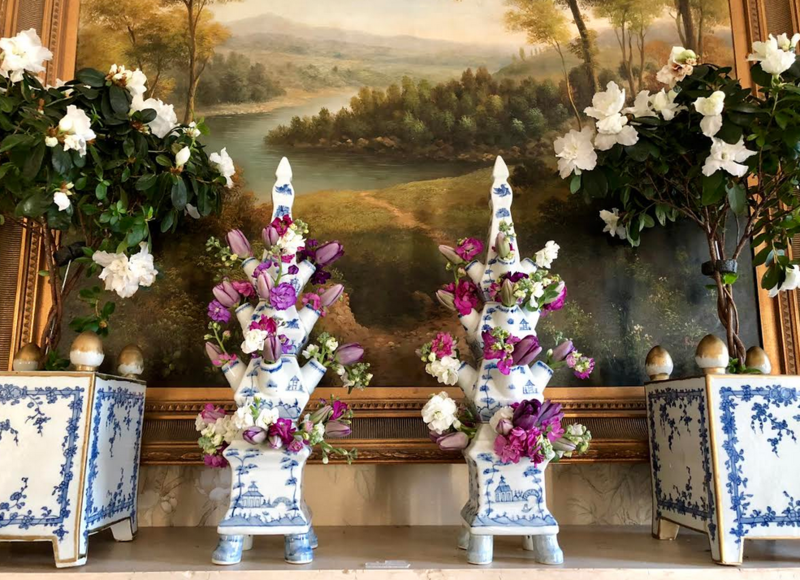 A wonderful selection of porcelains! 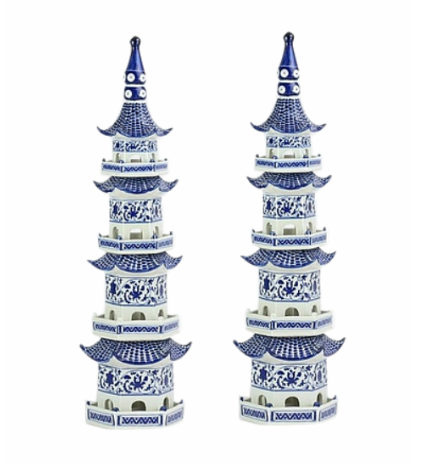 I’m always a fan of your pagodas, no matter the pattern or size. I have so many favorites it is hard to chose! I am picking the hex vase for now but, I truly love all of it! Love the new salt and pepper shakers!! Incredible Ralph vase but love the panel bowls. We keep white orchids in ours so it’s always elegant ! My daughter just ordered 2 black planters for our front door. So excited to share your website with my daughter ! Merry Christmas and. red looks fabulous in the blue and white. I really like the mid size planter you designed. 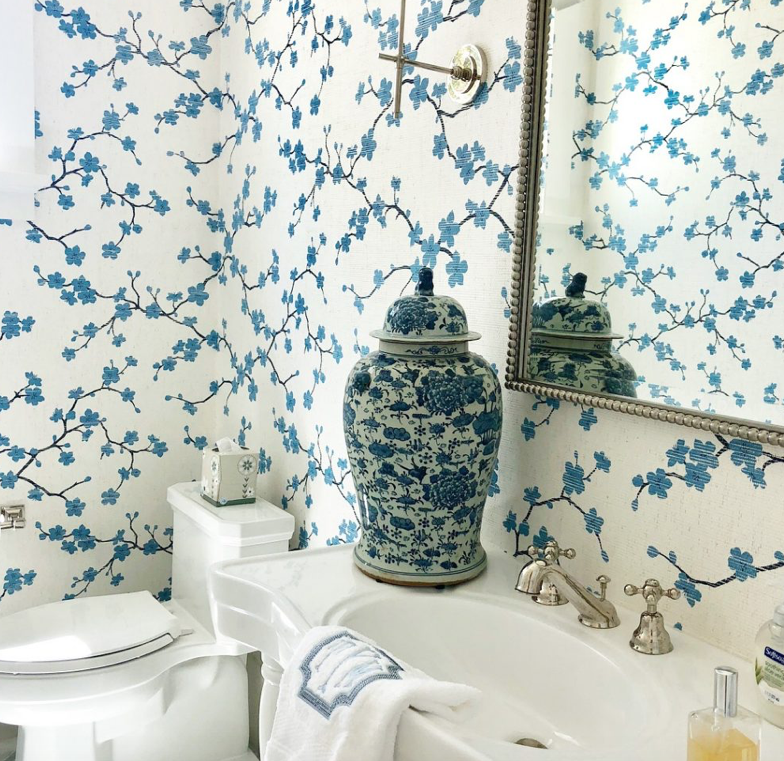 It is such a nice compliment to the usual blue and white. The salt and pepper shakers are adorable. 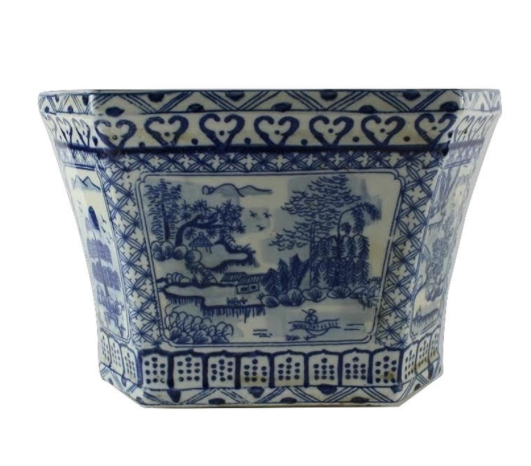 I love village scenes so the village scene bowl and planter and the antique village bowl are my pick! I also love the shape of the straight fish bowl. — that shape calls my name! I love your ginger jars no matter what the size! So many lovely pieces it’s difficult to choose my favorites. 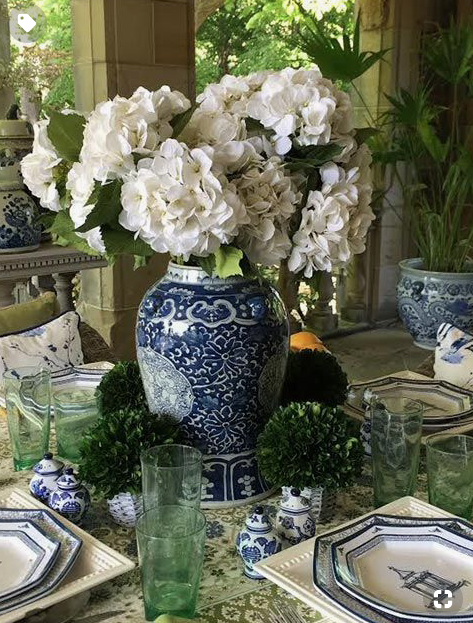 I do like the midsize pieces, ginger jar and pagoda, because they can be used in many vignettes. My favorites and something I do not own yet is one of the tulipierres! I also love the boxes with the gold feet. 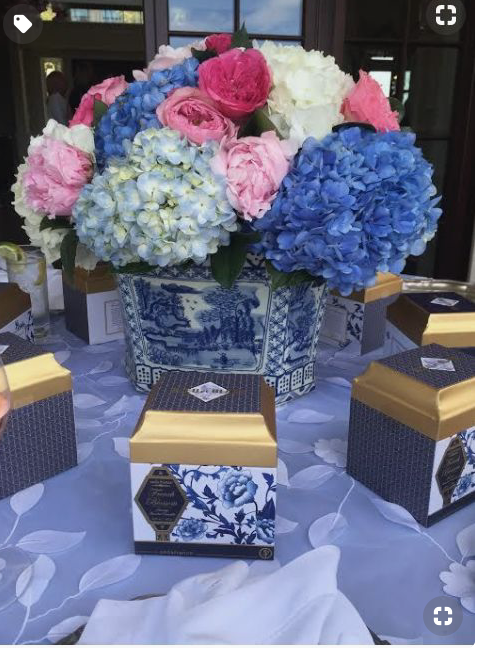 I absolutely love your soft pink chinoiserie ginger jar. It is so pretty and the colors are so beautiful! Oh my! 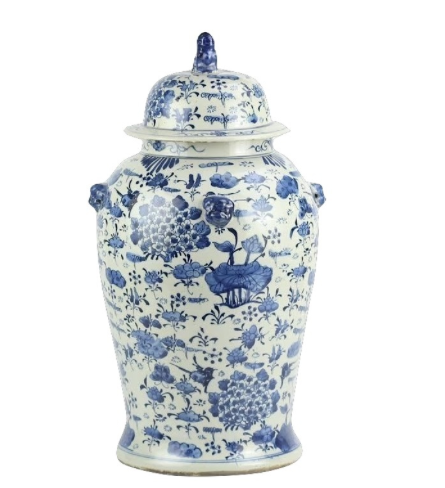 The new navy ginger jar is stunning! I love your new planter-the one you designed with the panels. 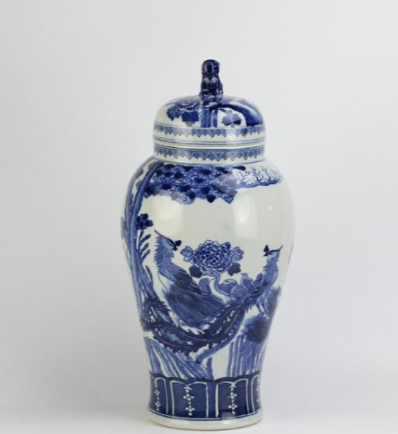 All of your blue and white porcelain is so dreamy-I would consider it an honor to own something from your collection. I love the ice bucket with the bamboo handles. 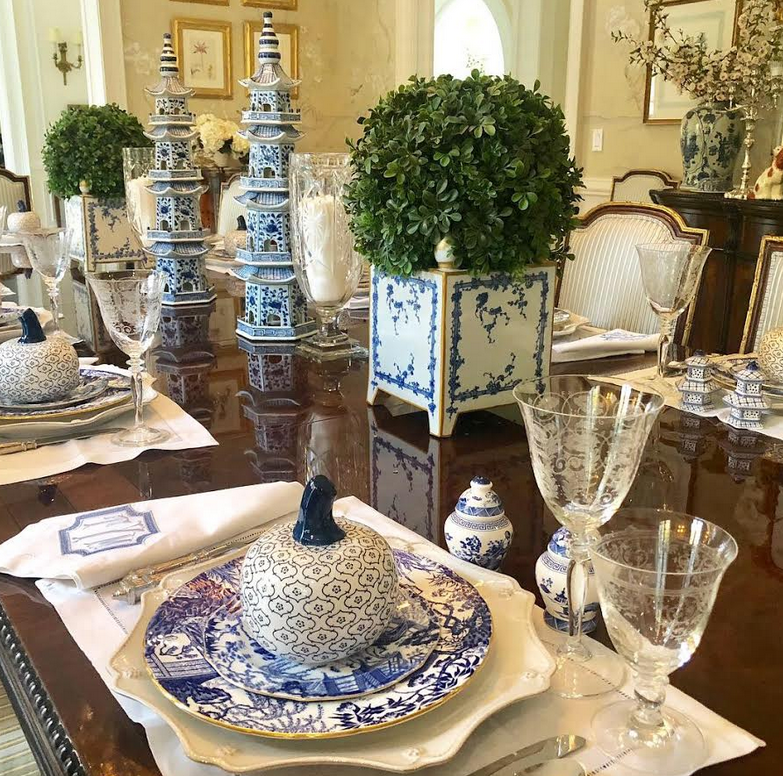 What a great piece for entertaining! 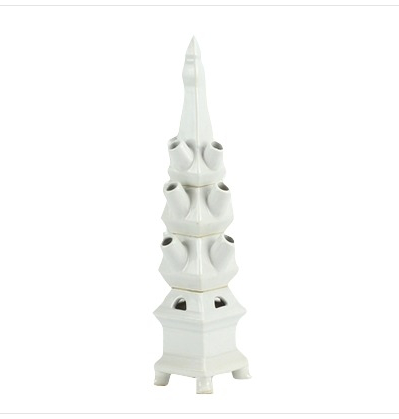 I absolutely love the mid size pagodas! So beautiful!! 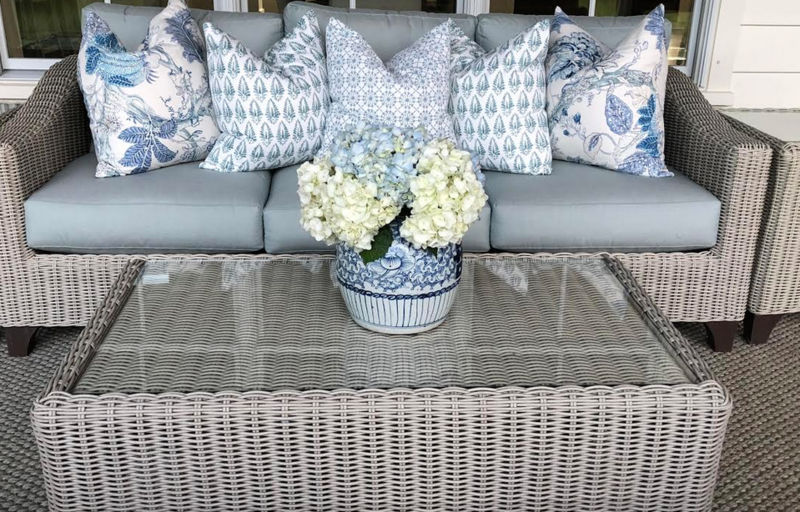 I like many things, but because I’ve admired the blue and white garden seats for years, my favorite is the trellis garden seat. Village scene scallop. And, blue and white pumpkins too. 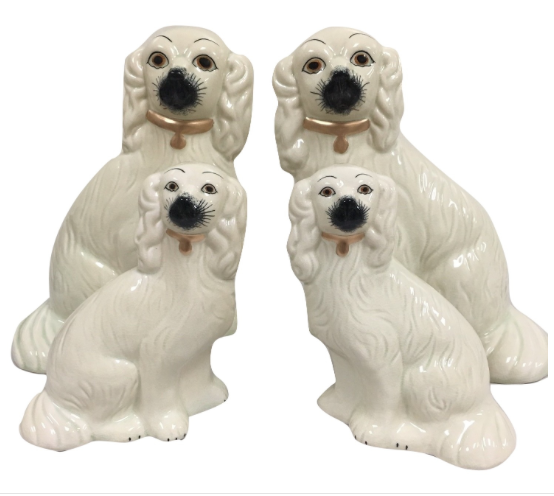 I love all the porcelain figurines – especially the Staffordshire Dogs and the Foo Dogs. I ordered wrapping paper several weeks ago. Gave my credit card number and have not received this item. I’ve been eyeing the large village bowl, I see it’s out of stock, I hope you’ll be getting more in so I can treat myself! Love=Village scene pierced hexagon planter….Or any garden seat! !